Here I am again, I was recently introduced to the lovely Sweet Lilac handmade flowers by Jo Rice, a crafter who has inspired me time and time again with her many and varied crafty makes. She told me that they had a monthly challenge over on their blog : http://sweetlilacflowers.blogspot.co.uk/ it's well worth a visit and from there you can find your way to their lovely crafty online shop. I used various dies and embossing folders from my crafty stash, but the finishing touch is the lovely Sweet Lilac flowers. Oh Annie what a BEAUTIFULLY sentimental card!!! 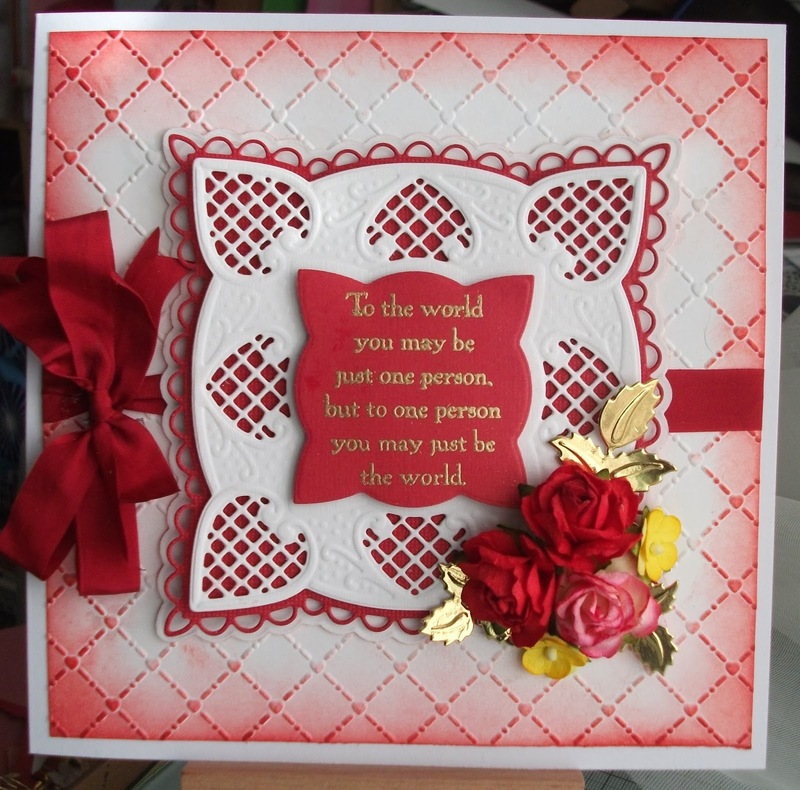 The sentiment is just LOVELY and the card itself very elegant!!! !